The perfect watch for every traveler. 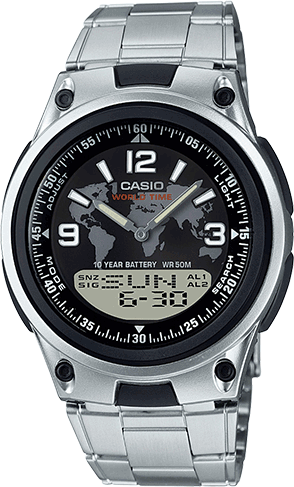 With its analog and digital read out you can see the time in up to 2 time zones and the world time feature means you’ll never have to guess how many hours difference it is between your location and home. Add in the 30-page databank capability and you have all you need to call home without waking anyone up in the middle of the night. Did we mention it has a 10-year battery too? 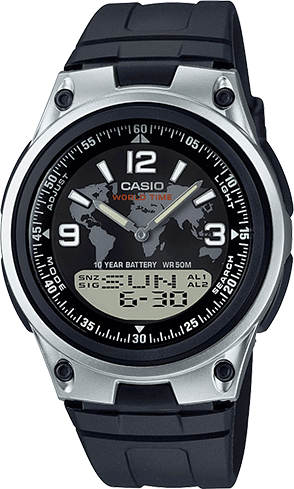 Brown Casual Sports Watch with Analog/Digital Dial Code and Cloth Band.